I'm somewhere in the empty shaft, there. One thing I've always struggled with is the Elevator Pitch. And my god are there a ton of websites that offer advice on how to craft the perfect EP. Nearly 3 million hits on Google when searching just the term. 60,000 hits when you add the word 'template' and I'm afraid to look at how many 'examples' there might be. A lot of the top results have to do more with business than with the storytelling aspects we're talking about here on this blog. ...it should be possible to deliver the summary in the time span of an elevator ride, or approximately thirty seconds to two minutes. ...two sentence pitch, which you could recite if you managed to trap an agent or editor in an elevator with you. They actually call these two sentences an "elevator pitch," or sometime a "logline pitch," a term that comes from screenwriting. That's the one I had heard over and over sometimes through my friends at The Confabulator Cafe and my various other readings across the internet and in books from the library. It's not that I don't know what my book is about, I can sum it up in one word. But it's being able to convince someone that's it's worth their time or money to check it out is what I am less than confident in. I know I'm not the only one, too. A two-page synopsis isn't too hard, and neither is the four or five paragraph query. It's just getting down to that quick-hit, high concept that's giving me fits. It helps that I can sometimes steer conversations with new friends to my writing and I can try out a version of the EP. It'll be hard to tell if anyone will really buy the book because it's not available yet. Querying is something I've been working on, too, and dammit if everything I write trying to describe the big beats of the story doesn't sound like it should be recited by Don LaFontaine over a movie trailer. That's boring to me. But I guess that's the business of it. Have any of you ever read solicits for comic books? Not exactly the same thing but close, more like what the old TV Guide listings used to be. A quick hook and that's it. That's not quite enough for the Elevator Pitch, is it? I want a hook and a bit of description to draw a reader in and then I want to sink that hook deep. I guess what I'm talking about is more along the lines of back cover copy. Sigh. Gotta keep working at this. All the things that go into wanting to be a writer are multitudinous and various and sometimes frustrating. This is the career I'm choosing and supporting with my day job. 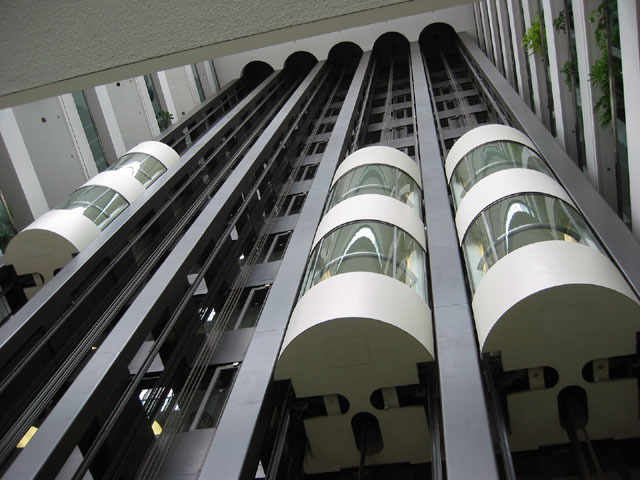 So, if you have any tips for writing an elevator pitch feel free to share them in the comments. Also, do point your browser over to the Cafe today and check out my newest flash fiction and all the other really great stories the Confabulators have offered up this week. There's some GREAT stuff there based on a painting by a friend of the Cafe. Having done it both ways now, I can tell you that the easiest way to create an elevator pitch, query, or synopsis (and this is going to sound crazy, bear with me)is to write them before you get very far in writing the book, not after you're finished. When you start writing, you KNOW the core of your story. The further you get in writing it, the more details you'll add and discover. Those details are what bog you down writing the elevator pitch or synopsis. Write them early on. Tweaking them to fit changes is easier than weeding through an entire novel trying to pare it down in search of the hook. You already knew the hook before you started. That's a great point. I'll have to do that when I start the next novel.